Last month I really wanted to participate into Erin's challenge on her Michael's necklace tutorial... but life has its way(s) of interfering and I had to send her a note excusing myself. She mentioned her upcoming challenge: the 2012 Colour Challenge. I registered for it immediately! I love colour, but I tend to be quite mono-chromatic in my designs (comfort in the known, probably :)) So when I received my 2 choices I had a moment of 'now what?' Not one to quit easily - and definitely not because something is hard - I kept looking at my 2 pictures. These are *not* colours I would choose to design something with - but something I needed to design, so I quit whining and I started searching through my boxes. Days passed... then weeks... nothing! I was laughing at Erin's note on Facebook tonight, she mentioned her muse being MIA. I know what happened! both our muses went on a cruise or something! Like Erin, I decided to take the whole matter in my hands - delegating to the muse was definitely not working. In fairness, I have tried something with copper, only to figure out copper will not work well into any of the above pallets! Back to the drawing board: in a desperate moment I simply upside-downed a box and... I found it! From that moment everything went in a jiffy, I made a piece for each palette - in almost no time at all! What I found? 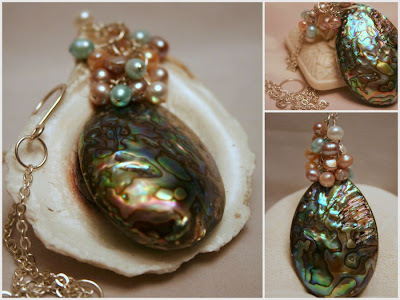 A shell... not any shell, of course, but a Paua Abalone in the exact same colours as the Okavango Delta! Once I had the focal I was able to pair it with some neat freshwater pearls in off-white, aqua, and a deep pink-brownish (not sure how to qualify that colour). Once I had the Okavango Delta being taken care of - I was on a roll and kept going through the same box... until I came up with a pack of mixed ceramic beads. I received them in a box from my sister in law, all sorts of little mix and un-matched beads. Back then - I just sort everything in containers... it was such a container I picked up now - and I used all of them, except for 3 very green beads that would not match the Chilean Volcanoes palette. I don't know about you - but I just love this one! The colours are simply perfectly matching the image: with the off-white and grey and earth-brown, and just a splash of blue here and there! Do not be afraid of colour - embrace it! And one more, in fact (I knew it, but it's worth to mention it): use nature as your palette, the designs will have a... well... more natural look to them! Now I would like to thank Erin for including me in her wonderful challenge: it was an eye opening for me (in a very good sense) and I enjoyed it very, very much! Oh, and I made sure to follow Miss Erin's rule #1: I truly had fun! Less talk and more images - I present you Anna, a complete set: earrings, bracelet & necklace in simply copper. Anna means gracious in Greek and the set pieces (there is a necklace / pendant and a pair of earrings) are exactly that: a gracious flow of metal in elegant swirls. The whole set is a happy accident :) I meant to do something else and it didn't work - at all! So I had this 12" long copper wires in 18 ga or 20 ga... despite the fact I have a 1 lb roll, I could not throw them out, so I started to play with them and before I knew it I had the first earring done. I loved it so much I simply had to make a whole set :) Of course they match quite nicely with the rings too. We can't have a post about jewelry and no blue - so there is Azure: a pair of earrings hand-framed in copper and then carefully wrapped with the most delicious blue stones. There is more work in progress - I can't wait to share more! In the meantime I will show a couple of items that went up in the store recently. I still have about 20-30 to add, but the weekend was really busy, hopefully this week I'll be done. With one of my orders I received from Tanya (Fusion Muse) she included a strand of these gorgeous Kyanite. Which truly spoke to me - but sat in their box on my desk for a long time. No ideas would come to me... until one day recently when I decided i wanted to make a wire wrapped pendant. And a wire wrapped pendant is what I did :) Set in Argentium and wrapped in sterling silver (that's what I had in the proper gauges :)), very bright and glamorous. It whispers 'Christmas dinner' to me, can you hear it? With such a beautiful pendant - there should have been a pair of earrings so out came the sterling swage and a few more Swarovski crystals, plus some sterling spacers (from Tanya as well). 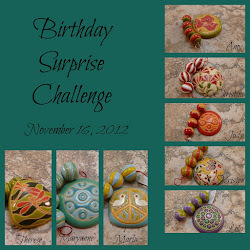 Jeannie from Jewelry by Jeannie, the polymer clay wiz, hosts a monthly challenge, Echo Creative Club. 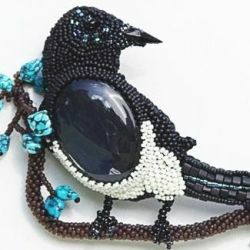 She chooses the artists to receive her art beads or pendants for FREE and make them into a beautiful piece of jewelry. While I have not met her requirements yet - during the summer she opened her club to newcomers like me - and she graciously accepted me in the club, for the month of November. That's exactly what happened to me: I played with the flower, I handled it a lot, I had it on my desk for a long time. I tried various designs mentally and I wasn't happy with any of them. Then I decided it's time to make a decision and a decision I made: when in doubt, take the simple road. Simple seems to be always better. The beaded chain is therapeutic not only to make, it is therapeutic to wear too! I think they should study the effect of wearing certain type of jewelry - many ailments might be cured just by wearing the proper accessories! I love multi-strands and while the copper might match the chocolate brown on Jeannie's bead better if I try to antique it (can I do it after adding the jade beads?!) I still love the look of it together: it is light, it has such a happy feeling, of chocolate and candy, I can almost taste it :) I think I'm going to name it Turquoise Toffee! Please also visit everybody else - there are wonderful artists in the group and I am looking forward to seeing what everyone has created with Jeannie's beauties! Happy Thanksgiving to all my American friends and followers! I hope you have a wonderful day with family, friends, and loved ones!! The extra-big event starts tomorrow: 45 artists from Artisan Whimsy put together a magnificent sale event: there are giveaways with a value of over $1,300!! That's $1,300 that can be won by 45 people - all you need to do is visit everyone's page and enter their giveaway for a chance to a beautiful piece of jewelry or gift cards. My own giveaway? One of these rings (you choose your own style when you win it! ): value of $35. for all the women on your shopping list! 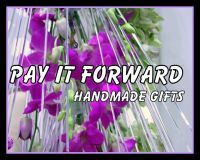 Remember: there are 45 artisan offering giveaways and sales: visit them all and finish your holiday shopping from the comfort of your own home! I know today's post is not supposed to be about jewelry but you'll forgive me. If I don't post it now I will forget and we can't have that! 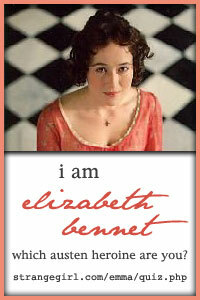 Unless you've just arrived on my blog you know I am part of a beautiful artisan community - Artisan Whimsy. Lots of things happen there and the most fun of them: challenges. There is always an active challenge and one can hardly resist! 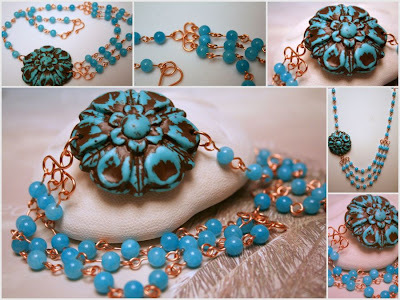 The one I am talking about right now is the 'Berries and leaves' challenge - with a very simple definition: Create a Jewelry Component or a Finished Piece of Jewelry using the Berries and Leaves theme. Made of Czech glass (the leaves - in 2 beautiful colours, a gorgeous metallic blue on one side, a sheer evergreen on the other), coral (the berries), and quartz crystals (ice flakes) and hand wire-wrapped in sterling silver: the perfect pendant for the Holidays! 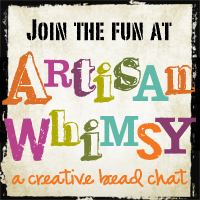 If you are an artisan: please join us on Artisan Whimsy and enter the challenge (the more the merrier!). 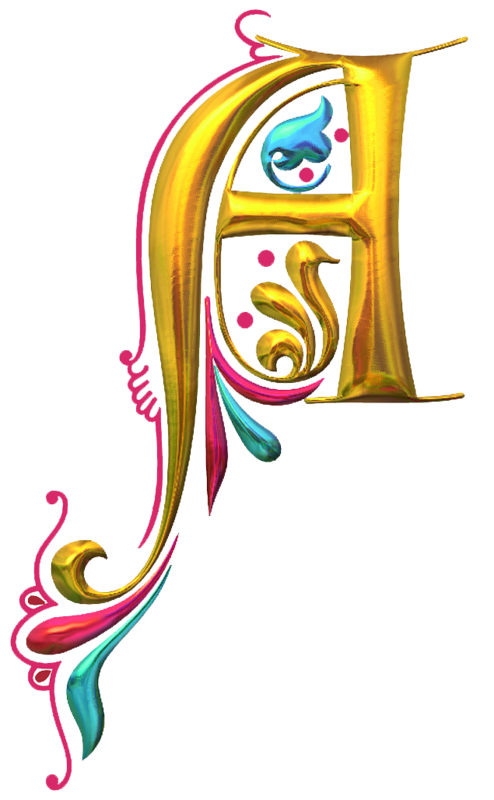 If you just love art: please join us on Artisan Whimsy and check the beautiful work the artists make every day! Get in on the holiday sales for Cyber week! The largest Artisan Jewelry Sale ever! All other participants will be offering a giveaway on their blogs and discounts in their online stores. There will be 3 exciting "special giveaways" hidden throughout the participants blog posts...so be sure to visit them all and find them! I love, love, love it: I love how it feels in my hands, I love that you can soften it or harden it - with just a few tools. I love the colours it takes (not so much the brass, my current loves are copper and silver). I love everything about metal! This week and the following I will share a few of the items I recently made. And I will start with something I never thought I will make: rings! They are made mostly of copper (the first one is in sterling silver) - with various gemstones. Wire-wrapped, fully adjustable and lovely: what started as a bunch of wire, through careful and loving manipulation ended as a delicate piece of jewelry, ready to adorn your fingers! A father had a son who would never listen or behave. One day, the father decided to hammer a nail into the door frame for each bad behavior of his son. When the frame has been filled - the man called his son and showed his bad behaviour 'proof'. The son realized how much he was made his parents suffer and promised to do a good deed every day, so the frame will be nail-free. The moment his father took the last nail out, he started to cry. - The nails are gone, my son, but the marks are still there! This story doesn't need an explanation or a morale... just a kind reminder: before you say or do anything ask yourself "what are the marks you'll leave behind?" This year is one of renewal and discoveries. As you probably know I love metal and glass. I have tried various techniques already, but I kept trying to learn more metal smithing techniques like: soldering, etching, bezel making (soldering, really), precious metal clay and the likes. I probably read more about metal smithing and glass making than about anything else before (I am the empirical trying person: I get a feeling of how things are done by doing them), just before it was impossible for me to get the toolbox needed for all these and just try them. And I couldn't find a place to try otherwise (not that I didn't try, I did: classes have been cancelled twice this year!)... until I finally got in contact with the lady who was supposed to teach the metal smithing techniques at Burlington Art Centre. And I finally found out her studio is about 10 minutes away from my house... and she teaches there too!! I went for the first time about a month ago and I have never been happier! I got my first lesson is soldering - just enough to allow me to understand what it involves and to realize I can do it at home, by myself! I got lessons in other techniques too, and I keep learning. The best part? I validated what I subconsciously knew for a long time: metal *is* my thing. Nothing, absolutely nothing so far makes me happier than having a piece of metal or wire in my hands and tinkering along. Sometimes I get the results I want, sometimes I don't, but with everything metal-related I keep trying (which doesn't happen often). I see possibilities, I see beauty even in the ugly ducklings, and I keep trying. Point in case: etching. I did etching about 25 years ago, one summer, with a couple of friends: we made bracelets from brass sheets, we would 'paint' them with tar, drop them in acid, clean them, form them and... sell :) They were both university students and selling to the girls at university. I do remember a summer of fun, complete fun (which is rare, especially for that summer - when all my friends were away and I was stuck in our small town doing pretty much nothing). Fast forward 25 years, a cold and ugly fall (really ugly this year): I got my tools from a trip to Lacy's in Toronto, I got my metal sheets and acid from a trip to Sayal's at home (a store for electronic supplies :)) and I got some brass blanks from the CBC de-stash events. All set - ready - Go! They are ugly ducklings, aren't they? Now you can see the swan! What have you been trying new lately? You can see the end of the year is fast approaching when deadlines for challenges are dated in the New Year! Speaking of which - if you haven't checked the Beads Of Courage auction on eBay, now it's the perfect time: you can get yourself some really gorgeous art charms! The first one is Lori's Memories and Thanks blog hop - even if you don't want to participate, I would encourage you to get to Lori's blog and read about it. I have many memories and tons of people to thank - so my challenge will be to choose one person, probably... and make something to honour them. The second one - that's an interesting one. On Artisan Whimsy (I really love that place!) it seems there is no shortage of challenges and events (no surprise, with so many teams and artists getting together) and one of them is called "Sufferin' Soutache". I was curious what is it all about - and then I read the tutorial... and I still speechless! I saw this type of embroidery before and I always loved it, but I didn't realize how you make it... now, of course, I must try my hands at it! Wouldn't you love something like this?! I know I would! As you might remember I am part of a wonderful artisan community, aptly named 'Artisan Whimsy' - the baby of CBC (Creative Bead Chat group on facebook) administrators. Not only that - I am also a member of the Metal Team. Our team started their existence in style - with a free tutorial and a challenge! I am, of course, still learning and at the beginning of my metal working 'life' (more on this later, in fact about a month from now, on Artisan Whimsy - I will remind you :)) and nothing pushes me better than a challenge. Like the current one, Metal Prongs: I procrastinated and procrastinated, I almost toyed with the idea of dropping off... then I decided 'no way! this is *my* team, I will not back off'... Luckily for me I had all the tools available, until I wanted to use the torch and - nothing a trip to the hardware store won't fix it (although I baffled one of the gentleman working there: I had a copper pipe in my hand and asking for a micro torch; he tried to explain I will need a bigger torch for soldering pipes... I didn't correct him, how do you explain a nice gentleman the copper pipe will become jewelry?!). I looked through my stash of metal blanks (I just finished etching all the Vintaj ones, so I had to look for others!) and I found a beautiful one (from the de-stash at CBC back in August)! Brass, of course. In the end - it is not a perfect piece, but it is my own, my very first one! 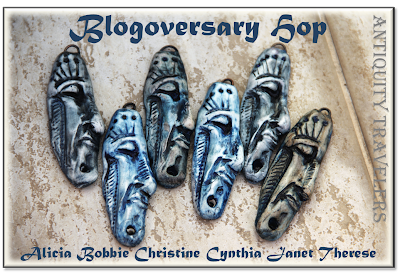 This is a blog hop so please hop and visit the other participants! ... apparently this week is made for the public eye! *** Reminder: the Auction for Charm Swap 2012 (all proceeds go to Beads of Courage organization) is still on: there are 56 adorable charms! Back in September I submitted some of my work to Denise Peck, Editor of Step by Step Wire Magazine. 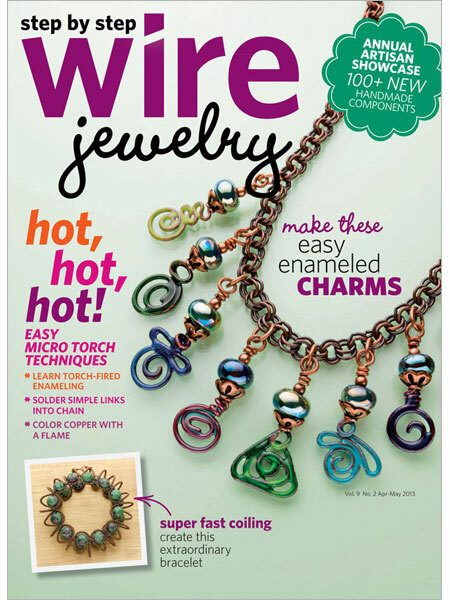 I chose this magazine because it seems the most suitable for my current work: lots of wire, and slowly introducing metal. Submitting your work is in itself a wrecking process: you self-doubt yourself a lot and while you (im)patiently wait for an answer you need to develop some thick skin, just in case. I was fortunate enough to have Denise liking my chainmaille capture, the 'Caught You!' necklace. A few more back-and-forth and she decided to publish it, maybe in the December issue of the magazine. 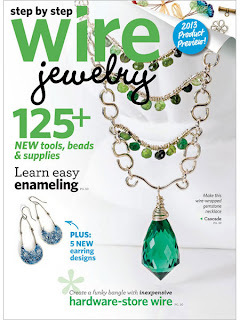 Until Saturday evening when lovely Patti sent me a note on Facebook - saying she just received the magazine and congratulating me for the necklace being published! I was speechless - I have just been to the bookstore and no December issue of the magazine is on stands yet here! [I checked again Sunday & Monday - nothing yet]. 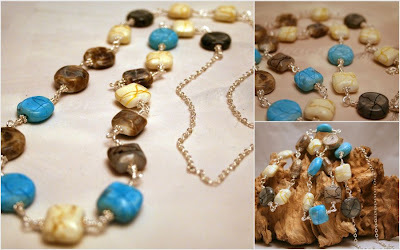 Welcome to the reveal and blog hop for Charm Swap 2012. Wonderful Jen from Glass Addictions put together this event where a number of artists will create charms: one for everybody in their group + 1 for the auction. The theme was 'Laughter' and the auction will benefit the Beads of Courage organization. BOC is an organization dedicated to helping children with serious illness record, tell and own their stories of survival. The Program is a resilience-based intervention designed to support and strengthen children and families coping with serious illness. Through the program children tell their story using colorful beads as meaningful symbols of courage that commemorate milestones they have achieved along their unique treatment path. Artists from all over the world come together and donate beads and charms to the BOC programs. Jen's Charm Swap is such an event - and along with this blog hop there is an auction taking place, where you can buy the same charms (the extra one we all made) and your purchase will become a donation to BOC. The theme, as I was saying earlier is 'Laughter' and it's only fitted, since these kids need laughter the most. I've read stories about BOC and I have to admit I was a bit terrified in the beginning. When you create from a 'soup' you worry if your partner will think you did justice to her/his package... but when you create for a child, one that's sick and will use that bead / charm to add to his / her 'strand of courage' - the worry takes a totally different level! I can't show you my pack - because I am still 'charmless' (I bet the charms will be in today :)) - but I have a better idea: please go visit all other participants and see what everyone has created. And - please remember to check the auction site too! Enjoy - and try to bring a smile on a child's face today!